Samios Plumbing Supplies being one of our major distribution outlets is home to a number of FIX-A-TAP ®, FIX-A-LOO ®, and BOSTON ® products. Popular items sold include high quality maintenance plumbing products such as tap valves/washers, Tap 'N' Snap ® garden taps, cistern valves and cistern washers, washing machine and dishwasher hoses, and many more. CAN'T FIND OUR PRODUCTS AT Samios Plumbing Supplies? 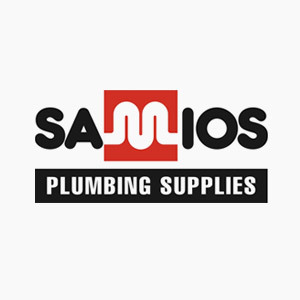 For more information, you can search for your nearest Samios Plumbing Supplies in the search bar above or listed below.